Mohammadi, S., Piri, K. (2014). Antifungal Effects of Two Medicinal Plant Native to Iran. 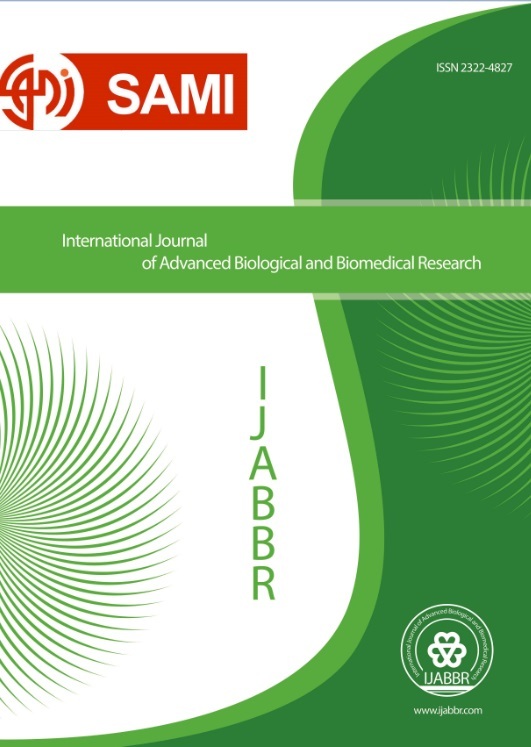 International Journal of Advanced Biological and Biomedical Research, 2(10), 2712-2715. S. Mohammadi; Kh. Piri. "Antifungal Effects of Two Medicinal Plant Native to Iran". International Journal of Advanced Biological and Biomedical Research, 2, 10, 2014, 2712-2715. Mohammadi, S., Piri, K. (2014). 'Antifungal Effects of Two Medicinal Plant Native to Iran', International Journal of Advanced Biological and Biomedical Research, 2(10), pp. 2712-2715. Mohammadi, S., Piri, K. Antifungal Effects of Two Medicinal Plant Native to Iran. International Journal of Advanced Biological and Biomedical Research, 2014; 2(10): 2712-2715. Objective: In order to use natural compounds in controlling plant pests and diseases, many researchers in recent years have studied the antifungal effects of essential oils and plant extracts. The purpose of this study was to investigate the chemical composition and antifungal effects of Echium khuzestanium and marubbium anisodan extracts. Methods: After extraction and preparation of different concentrarion from extracts, antifungal effect on 4 plant fungi was stadied by disc diffusion method. chemical composition of plants was checked by GC/MS. Results: According to the results, 86 kinds of chemical compounds found in M.anisodan extract. Furfural, steroids, vitamin B and flavonoids are the main compounds of M.anisodan. 46 kinds of chemical compounds found in methanol extract of E.khuzestanium. there are mucilage, fatty acids, flavonoid and diterpenes in flower of E.khuzestanium.